Water coming from the well is not purified in any way. There might be a multiple of various pollutants in the water like: elevated concentration of iron, manganese, ammonia, organic substances, or high water hardness. All of the named are usually strongly felt when using water. Ecoperla Silmline MMX is a system that will remove from water all unwanted substances and will make water parameter best for its users. 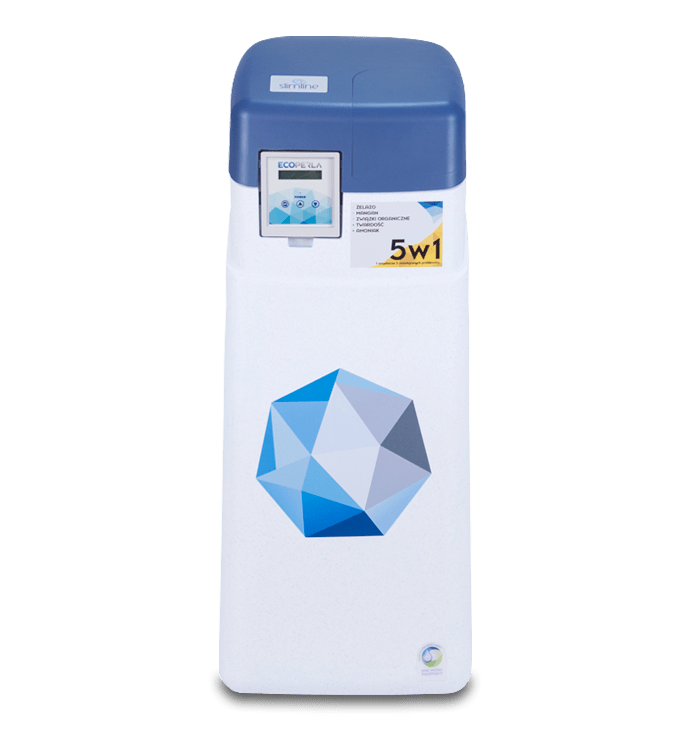 Compact multifunctional water purifier has the best accessible on the market filter bed ECOMIX which is characterized by high efficiency and long life service. 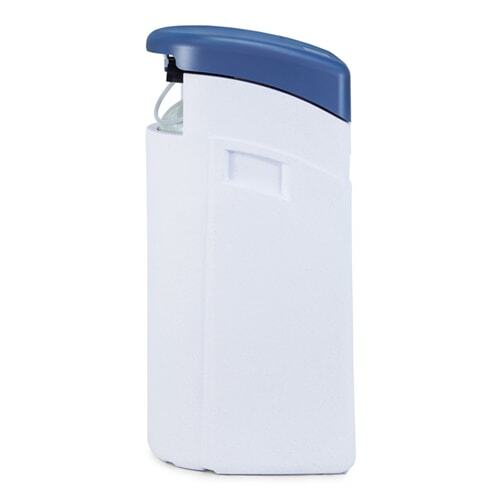 Ecoperla Silmline MMX is one of the few multifunctional water purifiers in compact shell available on the market. System is equipped in 24 liters of branded ECOMIX filter bed. 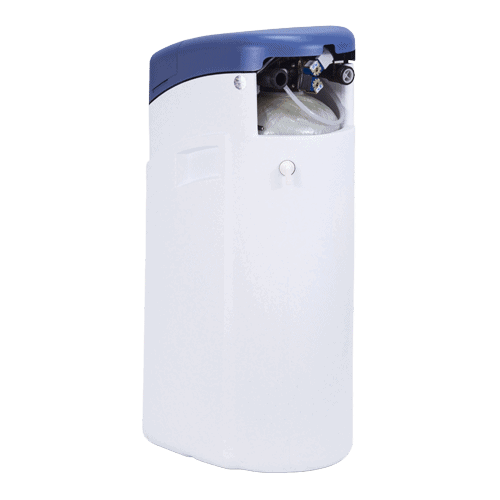 Multifunctional water purifier has been designed for household water filtration. It has been manufactured form the finest quality components in Europe. Devices have a long warranty period. 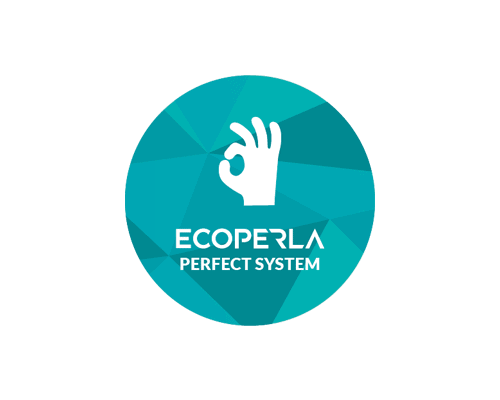 Ecoperla Perfect System is designed due to long-standing experience of water filtration experts. The appliance of the system results in Ecoperla Slimline MMX to be extremely economical in operation. Moreover the user gets water of the best parameters and the system itself is protected against failures. 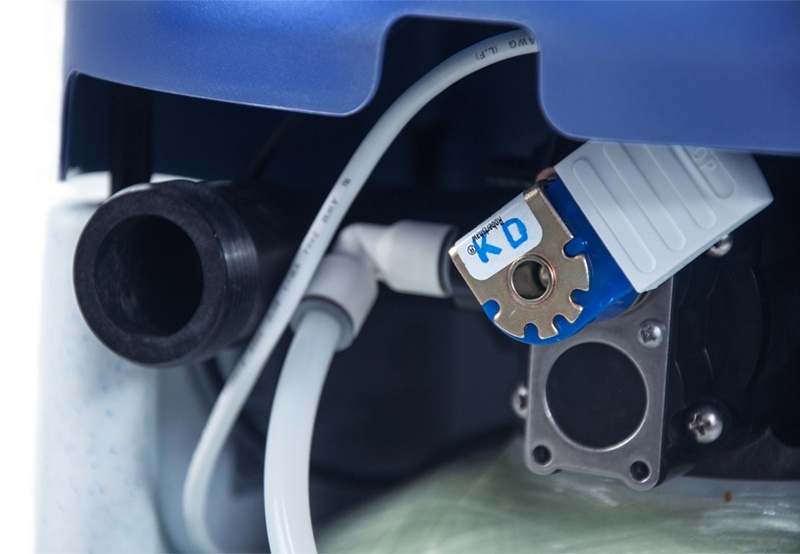 Compact size – shape and device dimensions allow to install it even in small rooms. Filtration of hot water – is possible. All due to solid shell made of resistant plastic. Ecoperla Slimline MMX has a display with backlight function that will work well in dark places. The display is installed in front of the shell on the retractable panel that will enable to user to change the viewing angle. 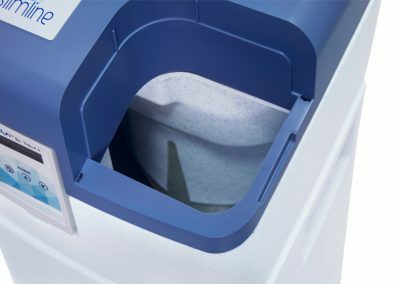 Quick salt recovery – the regeneration salt tank is located on the front of the device. It leads to a solid lid that can be easily removed. Filling is simple and quick. Filter bed bottle – has been made of epoxy fiber resistant to corrosion. The bed itself is arranged in layers in a bottle. Each layer is responsible for removing one problem present in the water. 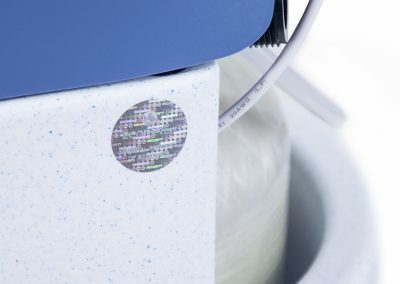 Due to that Ecoperla Slimline MMX removes 5 types of impurities – iron, manganese, ammonia, organic compounds, high water hardness during one filtration stage. Products presentation in a nutshell in other words everything You would like to know before purchasing Ecoperla Slimline MMX water purifier. 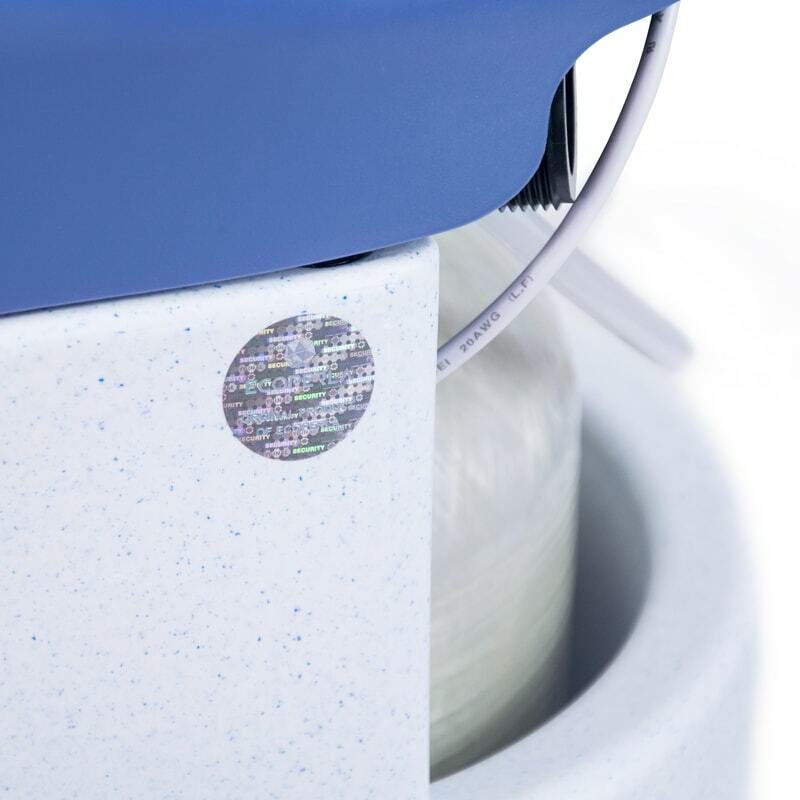 Practical information and technical data about Ecoperla Slimline MMX water purifier. 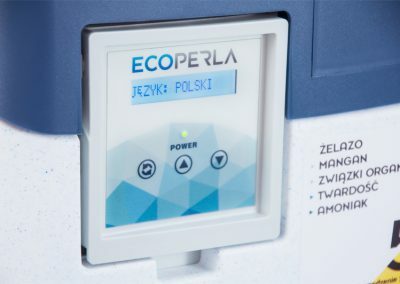 User’s manual for Ecoperla Slimline MMX water purifier contains the most important information about the system installation.